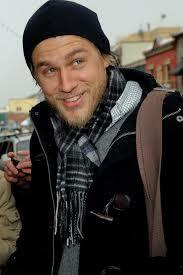 Oh, it’s Totally Tantalizing Tuesday again and who better to lead that day that Charlie Hunnam. I’m not typically a girl that goes ga-ga over a blond haired guy. I’ve always been more attracted to the darker haired men, but something about Charlie intrigued me from the minute I laid eyes on him. Charlie is a British actor, who had his big break in Queer As Folk, but he’s most famous for his current role as Jackson “Jax” Teller on Sons of Anarchy. And yet, he’s got this cute, endearing side. By AuthorMomma in Man Candy Monday, Totally Tantalizing Tuesdays on January 28, 2014 .